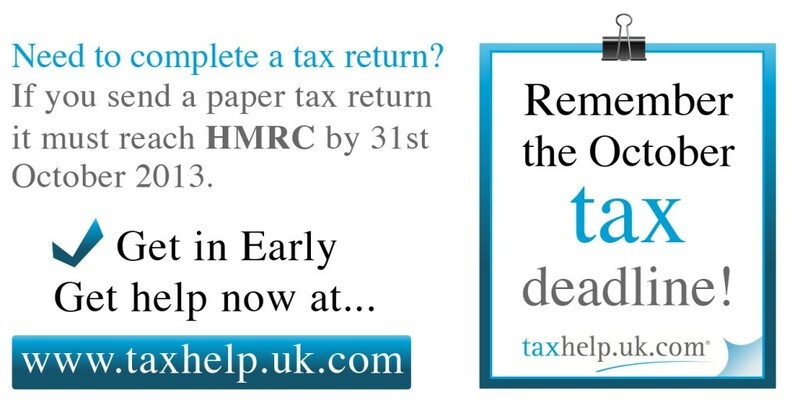 1) You will know exactly what your tax position is in advance – the final January deadline is also the tax payment deadline, so if the return is left until then you may suddenly find that you have a tax bill to pay that you hadn’t planned for. 2) Return processing times are usually quicker at this time of year, so submitting the return now will mean that the position can be agreed in advance of the statements of account being issued at the end of the year. 3) You may be able to have tax liabilities collected in future years by instalments through your notice of coding. Provided you have suitable employment or pension earnings, and the tax liability is below £3,000 then this is an option. Before the 31st October HMRC guarantee to collect the tax this way, however after the end of the month there is an increasing chance that this will not be an option.